Today's map is a Reddit remix of a project from Mashable. The website teamed up with Match.com to find out what kind of language people in each state tend to use when creating their online dating identity. 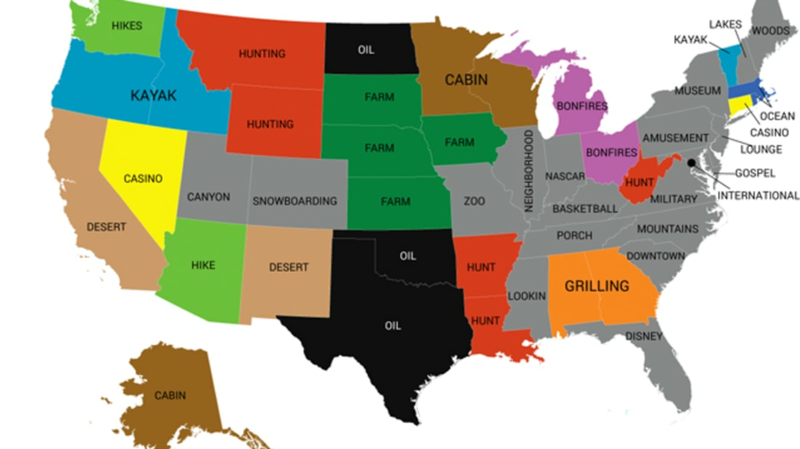 Mashable looked at words used with a higher relative frequency than other states. More than one state is keen on the word "oil."